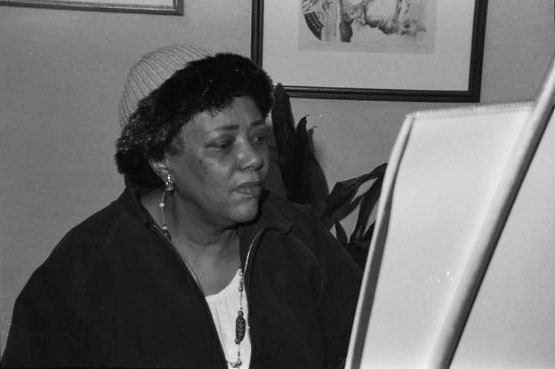 Georgette Seabrooke Powell conducting a painting workshop at the Anacostia Community Museum, Smithsonian Institution, 1983. Photo by Chris Capilongo. 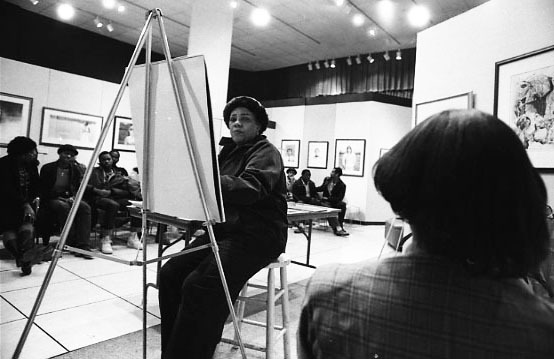 In May 1995, Art Changes Things: The art and activism of Georgette Seabrooke Powell closed at the Anacostia Community Museum. The retrospective exhibit curated by Michelle Black Smith celebrated Powell’s artwork and her commit to community. The show featured ten selected artworks, family photographs, and awards documenting her long career as an artist and activist. Born in Charleston, South Carolina, Georgette Seabrooke Powell (1916-2011) moved with her family to New York at a young age. She graduated from The Cooper Union Art School and became involved with the Harlem Arts Workshop. In 1936, Powell became a master artist for the Works Progress Administration Program’s (WPA’s) Federal Art Project. She created a mural at Harlem Hospital and at Queens General Hospital. She later studied at Fordham University, Turtle Bay Music School, and Howard University. Georgette moved to Washington, D.C., in 1959 becoming a lifelong artist and educator, organizing art workshops and giving back to community by founding Operation Heritage Art Center, renamed Tomorrow’s World Art Center, a non-profit organization for education and the arts. 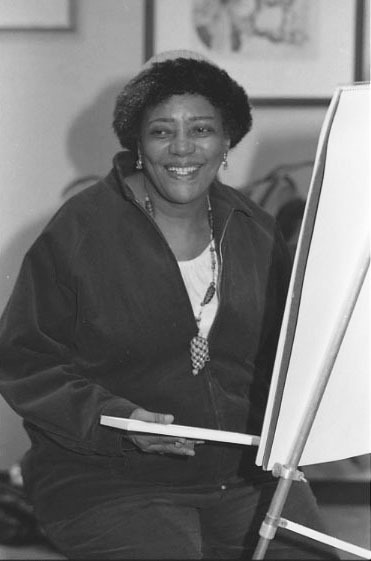 A recipient of numerous art and service awards, Georgette Seabrooke Powell traced “many of her life’s most important moments to community.” For Powell, community was “a flexible and encompassing term that defines relationships with family, friends, fellow artist, neighbors . . .” In the spirit of community, she organized various exhibitions, demonstrations, and workshops for the Anacostia Community Museum and served as president of the District of Columbia Art Association (DCAA) in 1989. Researchers can learn more about Georgette Seabrooke Powell by consulting the National Visionary Leadership Project. This post originally published on the Smithsonian Collections Blog in 2012.